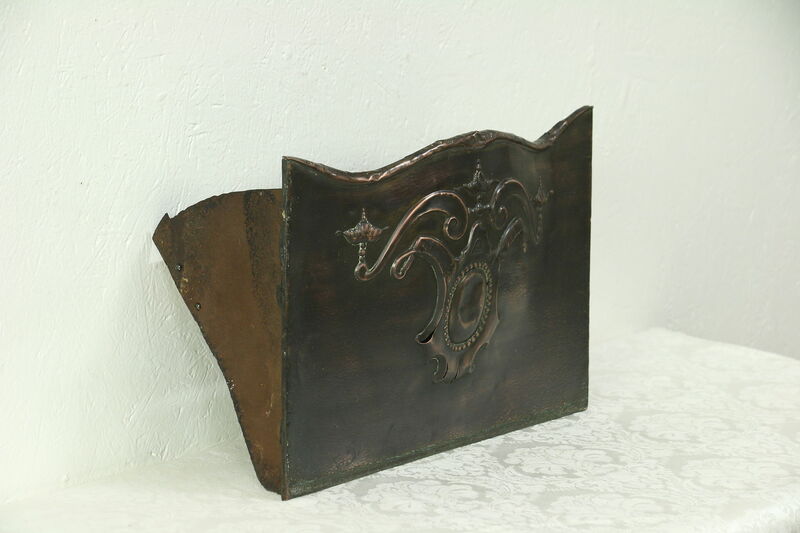 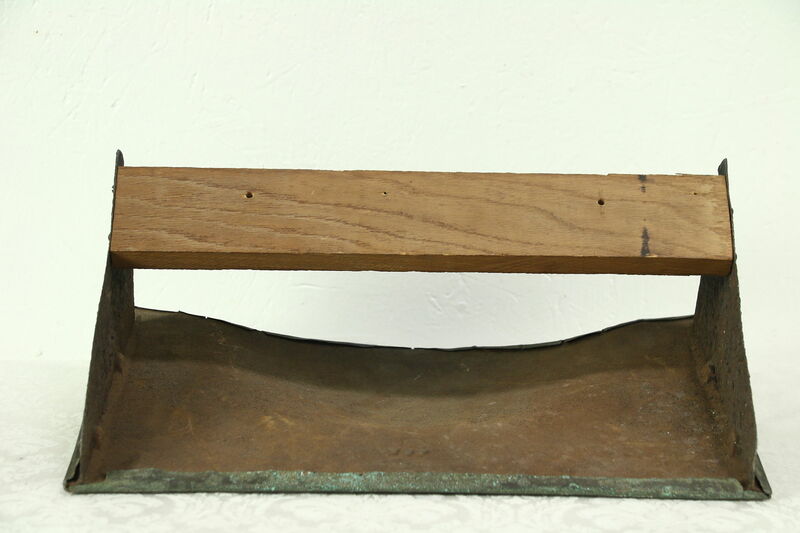 An architectural fragment from a 1900 fireplace is cast iron with a well worn hammered copper cover from the Art Nouveau period, making a sort of wall pocket. 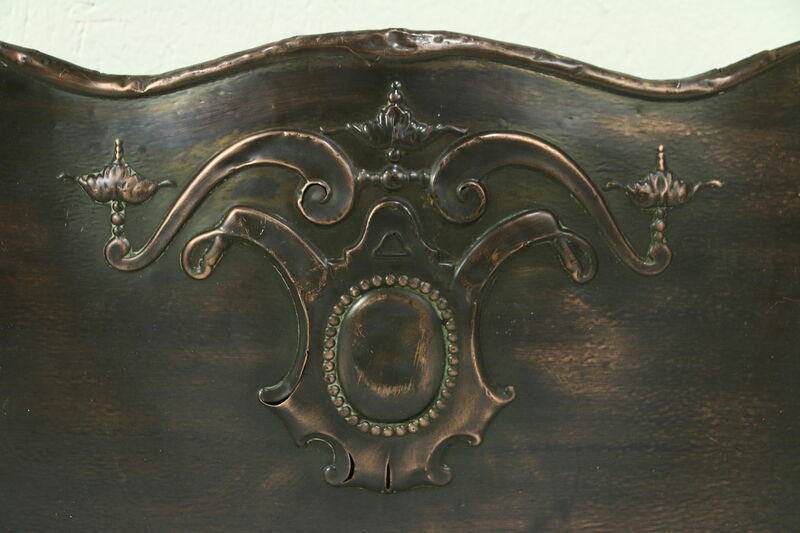 The dark patina and lots of wear is charming on this American made antique from a Minneapolis home. 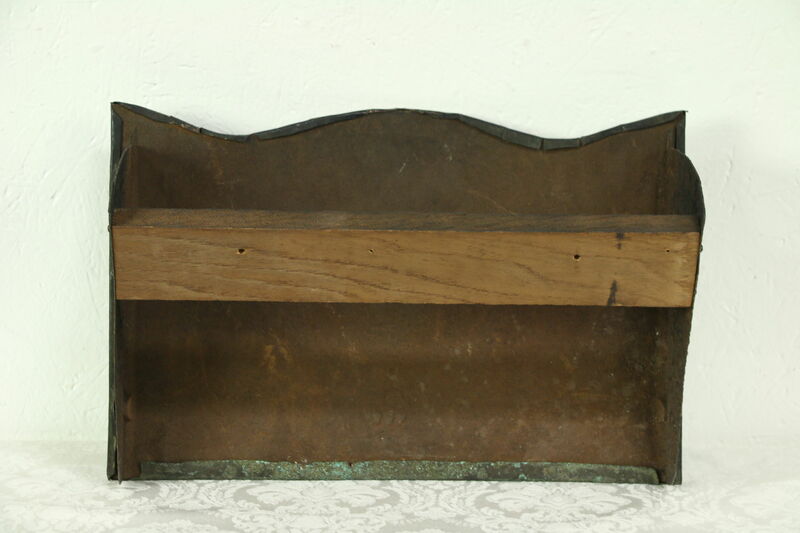 On the back side is a wooden bar for hanging. 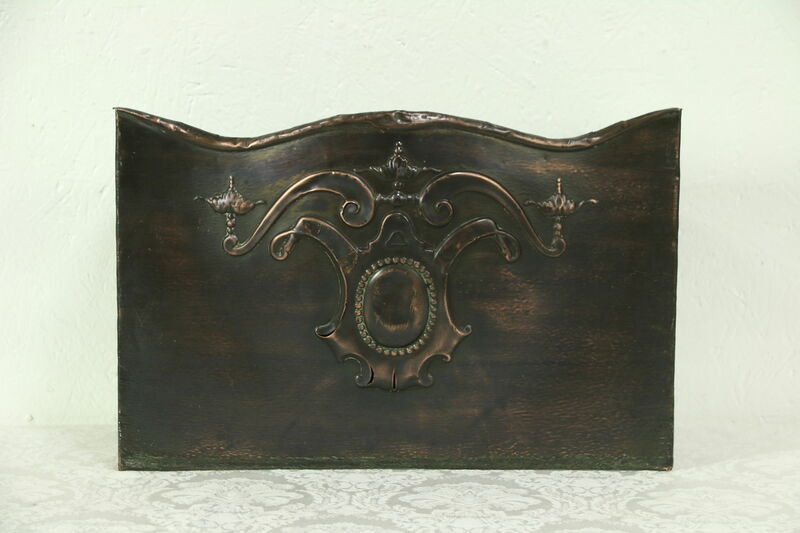 Size is 17" wide, 11" tall and 7" deep.